Porcine epidemic diarrhea (PED) is a highly contagious, acute enteric tract infectious disease of pigs (Sus domesticus) caused by porcine epidemic diarrhea virus (PEDV). PED is characterized by watery diarrhea, dehydration, weight loss, vomiting and death. PEDV damages pig intestinal epithelial tissue, causing intestinal hyperemia and atrophy of intestinal villi, with formation of intestinal epithelial cell cytoplasmic vacuoles. Since pig small intestinal epithelial cells (IECs) are target cells of PEDV infection, IEC cells were utilized as a model for studying changes in cellular activities post-PEDV infection. Monitoring of Na+-K+-ATPase and Ca2+-Mg2+-ATPase activities demonstrated that PEDV infection decreased these activities. In addition, IECs proliferation was shown to decrease after PEDV infection using an MTT assay. Moreover, IECs apoptosis detected by flow cytometry with propidium iodide (PI) staining was clearly shown to increase relative to the control group. 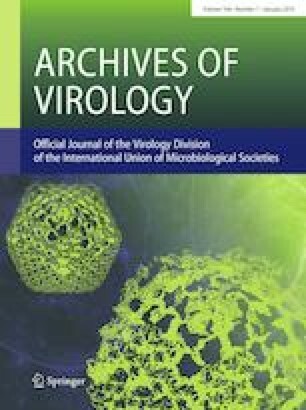 Meanwhile, animal experiments indicated that PEDV virulence for IEC cells was greater than viral virulence for Vero cells, although this may be due to viral attenuation after numerous passages in the latter cell line. Collectively, these studies revealed viral pathogenic mechanisms in PEDV-infected IECs and offer a theoretical basis for PEDV prevention and control. Xing-Ye Wang and Tai-Qiang Zhao contributed equally to this work. XW designed the experiment. XW, TZ and CJ completed the experiment and analyzed the data. The manuscript was written using contributions of all authors and all authors have given approval to the final version of the manuscript. This work was supported by the National Natural Science Foundation of China (Grant #: 31072115). Animal experimentation was conducted strictly according to the recommendations of the Guide for the Care and Use of Laboratory Animals of the Ministry of Health, China. Our protocol was reviewed and approved by the Research Ethics Committee of Northwest A&F University.